as for today, it has been getting chilly this last week and letting us utahn's know that fall is definitely on its way! 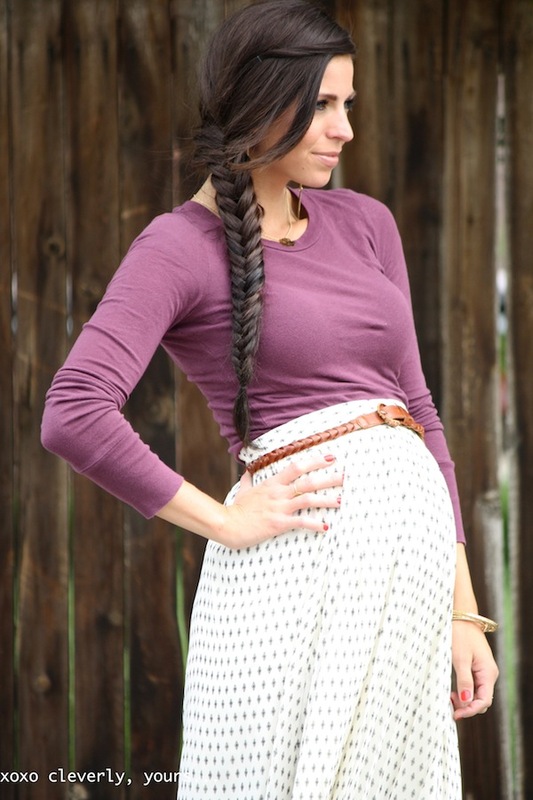 i fell in love with this skirt because it fit so well and showcases "the bump" so perfectly! :) i also love all of nordstrom's basic long sleeve tee's and probably have this same tee in four different colors because they fit so great and have such cute colors! this was a perfect outfit for a "cooler" day while still keeping it comfy! Gorgeous Robyn!! I love that skirt! You look beautiful! "the bump" looks beautiful in that skirt! I am seriously loving the color of your top too! You look SO amazing and make one of the most beautiful pregnant women ever. So excited for you! Only one more month!